The art of Japanese flower arrangement is known as ikebana, or kado (the way of flowers). Introduced to Japan from China along with Buddhism, ikebana started out in the form of floral offerings made at altars in the 7th century. As on of the three classical Japanese arts of refinement, ikebana follows Buddhist philosophy that help bring the practitioner closer to nature and merge beautifully the interior and exterior worlds. The flower arrangement follow a set of rules influenced by Buddhist beliefs and Japanese mythology, known as ‘hanakotoba’, to determine which materials, forms, or colors are good and evil. Ikebana developed slowly, but it became a very popular and highly distinguished art form around the 17th century and was widely practiced by Japanese generals. Today, there are over 1,000 types of ikebana, with the most modern type being “Free Style”. Learn the elegant language of flowers under the guidance of an ikebana sensei in this experience. 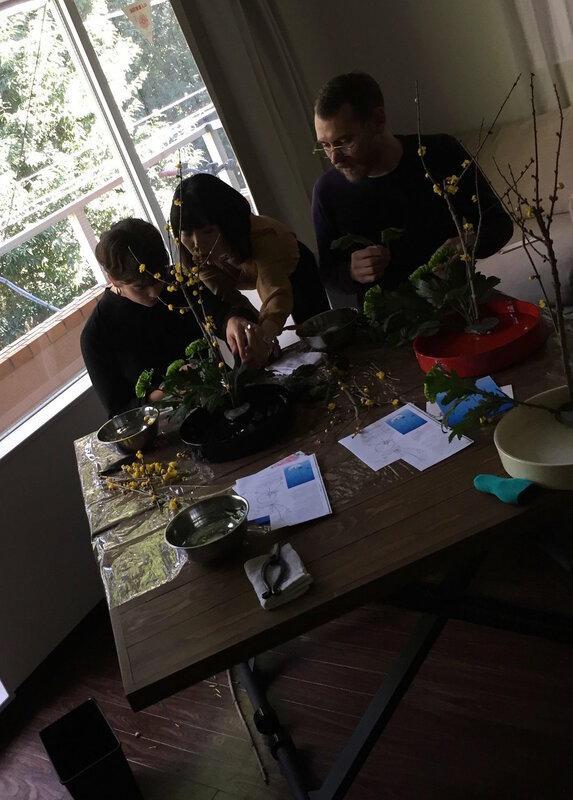 After heading out to the flower market to select flowers, you’ll watch a demonstration by Korin and then arrange your own Ikebana with provided tools. Wind down with some tea & a conversation on the history of Ikebana!